A variety of flavor, textures, and colors! Feta Complee is a tangy goat milk feta sold in brine. Hickory Creek is a goat milk camembert for the more discerning taste. A bloomy rind that shows off the local terroir. Paradox Paneer is a versatile Indian style cheese that is lovely cooked in a vegetable dish or served in a cool salad. Raw goat’s milk, aged 90-120 days. Each cheese is made the same way, with twists that add distinctive flavors. Washed with sweet tea vodka and grits. 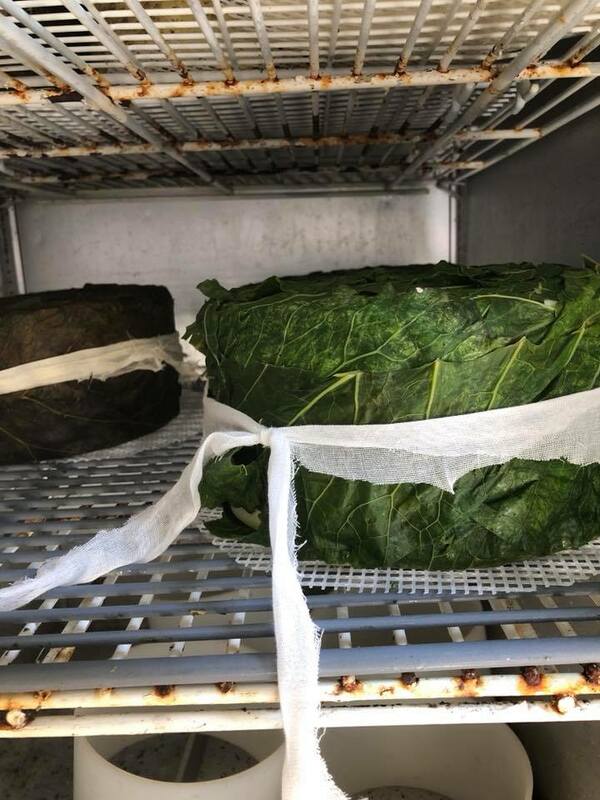 Wrapped with collard greens and washed with a local muscadine wine. Raw goat milk cheddar enveloped in a black wax which leads to its creamy buttery paste. Made with raw cow’s milk, aged to perfection! Squeaky in Wisconsin fashion, fresh cheddar...yum! 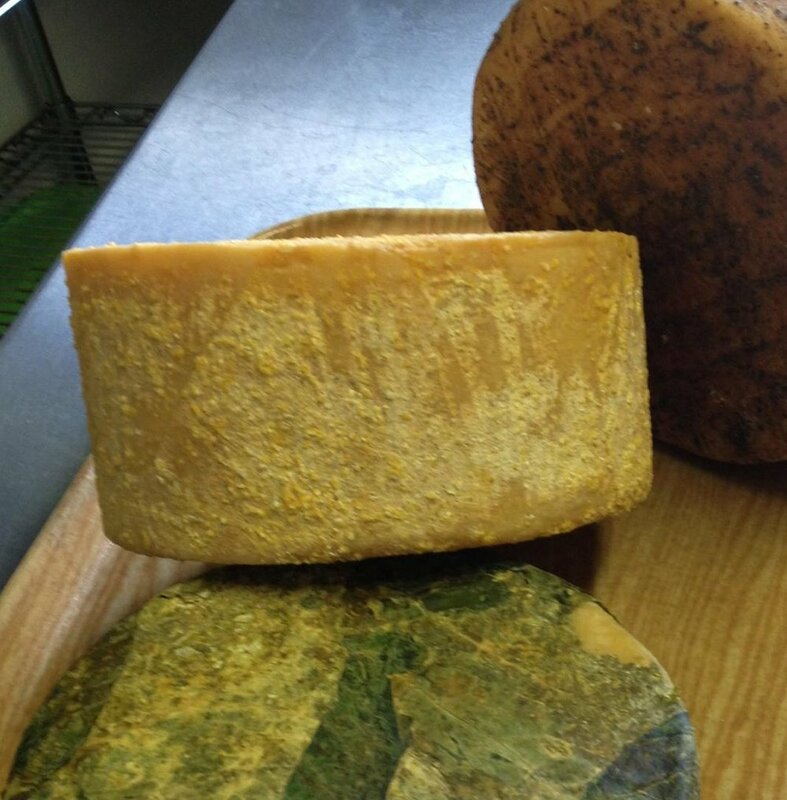 Limited supply of our aged cheddar rubbed with olive oil. Jersey cow milk camembert with a creamy butter paste. It has been a long project but it is finally complete! In 2016 we purchased an old tobacco barn and rebuilt it on the farm. 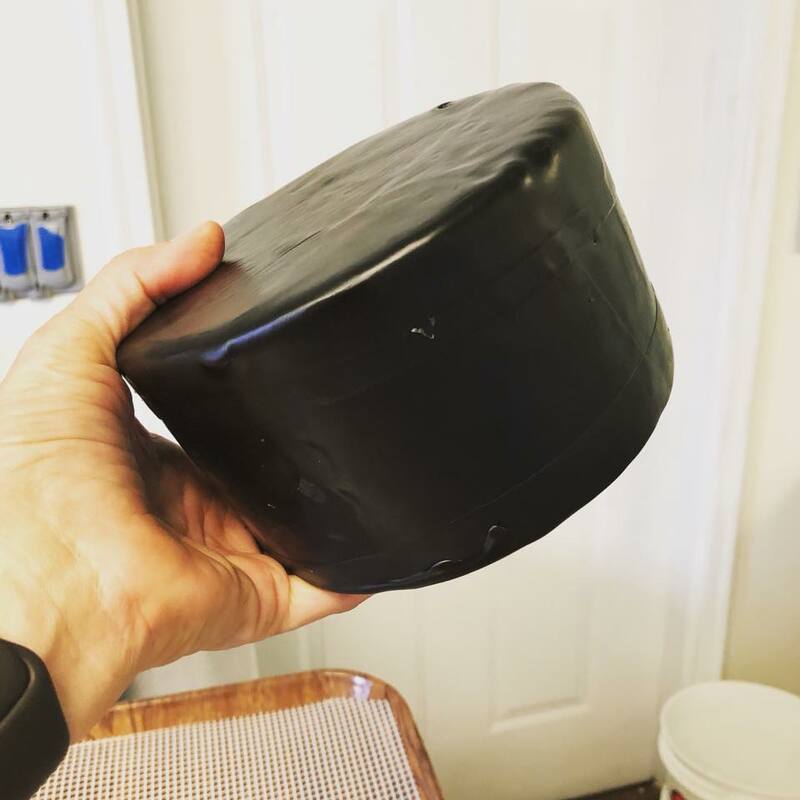 Following my “forward, never straight” philosophy and with the help of family and a University of Mount Olive grant we have begun to age our cheese in a larger space. Stay tuned as these babies get mature enough to eat.  And… That’s not all! The front part of our cave has been converted to a small farm stand. Here you will find not only our cheese products but locally raised chicken and pork from CATHIS farm, eggs, butter, goat milk soap, lotions, honey, jams and jellies, aprons and more! We are open on Wednesdays and Sundays! Come on out, see the goats while filling up you bags with goodies to take home. Bring a cooler!